Romanian singer/songwriter Lucia — full name Lucia Maria Popescu — came to our attention a few years ago with her first song “Silence”. In 2012, she was only 17 and had learnt to play keyboards from YouTube tutorials before her delicate, chamber pop piano work and poetical lyrics got noticed by Global Music Management, followed by the release of her debut album almost three years later. 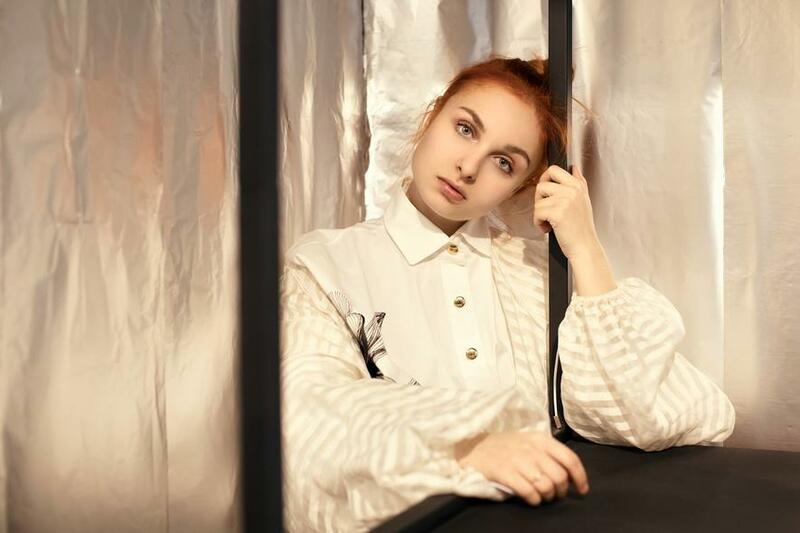 This seemingly ultra-fragile girl, who falls somewhere between Clementine from Eternal Sunshine of the Spotless Mind and a Tim Burton-esque gothic fairy, soon became one of Romania’s most distinguished indie pop artists. After many live performances and single releases, her second album, Samsara, was put out via Global Records on April 13th, 2018. It’s a far more solid and luscious album than her previous one with the recording and mixing taking place at Unda Recording in Bucharest, and the master in the UK at the studio of Simon Francis (known for his work with Björk, Noel Gallagher and Air among others). At the centre of Samsara’s indie pop universe is Lucia’s curious and affecting voice, conveying the blend of expressiveness and restraint that these songs seem to invite, and recalling vocalists as disparate as Tori Amos and Ane Brun, showcasing a more girly although equally captivating vulnerability.